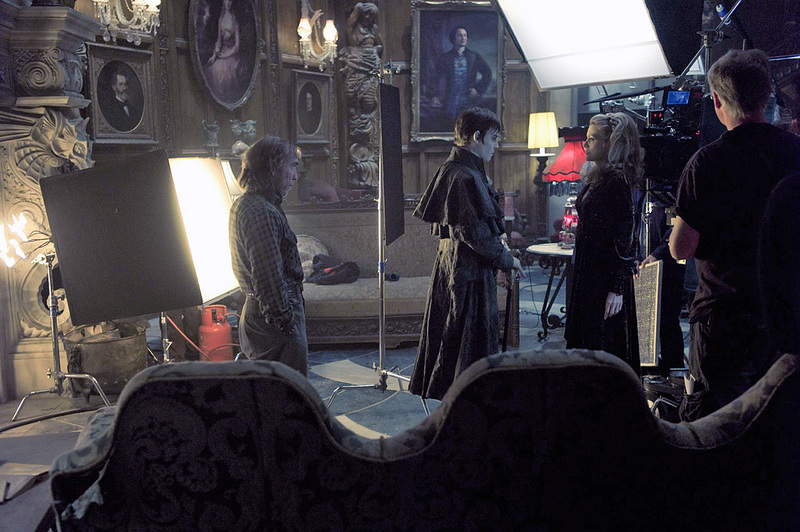 Warner Bros. have released another batch of publicity stills for the Dark Shadows movie, going behind the scenes of the production. 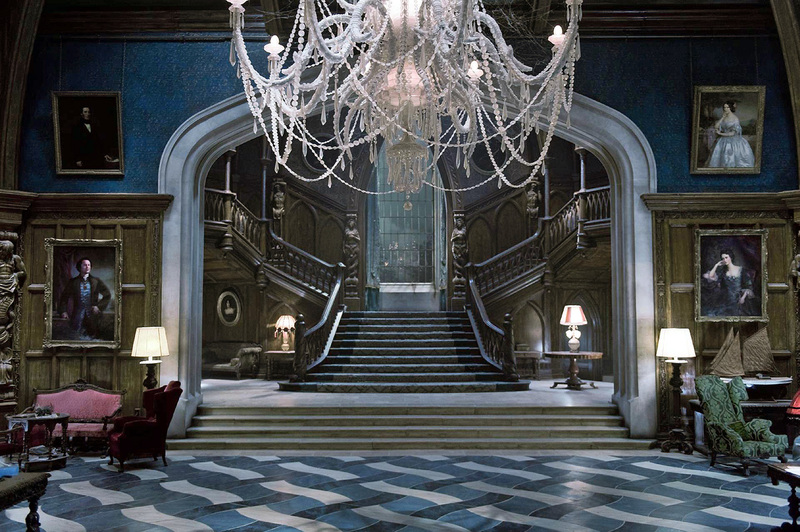 Shown are director Tim Burton with Eva Green (Angelique Bouchard); The cavernous foyer of Collinwood constructed at Pinewood Studios; And finally, filming Barnabas' arrival with Johnny Depp, Michelle Pfeiffer (Elizabeth Collins Stoddard) and Jackie Earle Haley (Willie Loomis). Click on the images for a larger view. And to see all our photo posts from the film, click here.